Amanda Johnson joined Family Life Church in 2007. She and her husband have been married since 1997 and are blessed to have 3 wonderful children. Amanda loves helping kids learn about Jesus through memorizing verses and group discussion. She believes deeply that every child has the ability to serve others in a meaningful way. 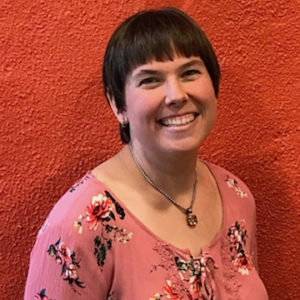 Her greatest desire is to help parents through the difficult task of being the spiritual leader of their children through prayer, verses, service opportunities, and just plain family fun. She knits in her spare time, enjoys the outdoors, and loves to try new activities. Her passion for FLC Kids is obvious.